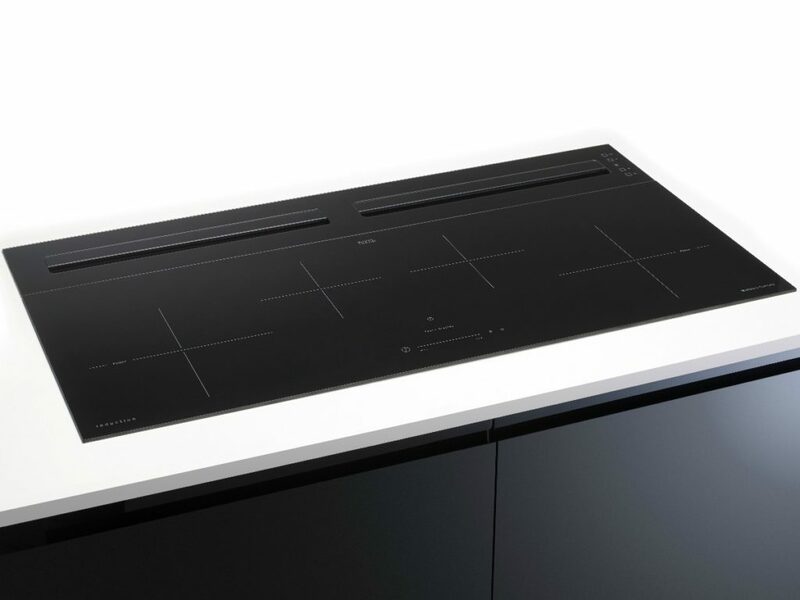 Designer cooker hood brand Airuno has launched Chopin-Evo, a one-piece extractor and induction hob. It operates at a maximum extraction rate of 550m3/h, has a noise level rating between 59-73dB and is energy-rated B.
Chopin-Evo boasts a 4-speed touch control panel with automatic switch-off function. Airuno recently introduced the Donizetti, a built-in cupboard cooker hood.